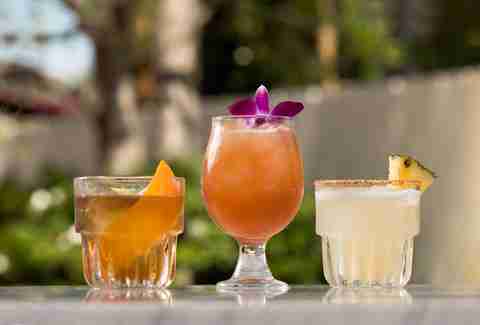 Craft cocktails are blowing up in San Diego, way past super-sweet tiki drinks and gin & tonics "with a twist." 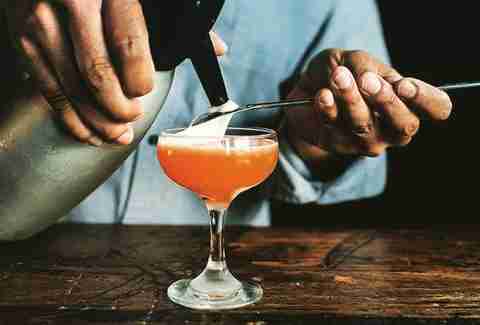 These days, there are tons of places mixing and shaking well-balanced drinks, but the places below are the bars and restaurants with the best cocktail programs in the city. Nobody would ever guess that one of the best new cocktail bars in San Diego is on top of a Courtyard Marriott and named after one of SD's former city planners, yet The Nolen has managed to exceed all expectations since it opened last fall. A communal fire pit and sprawling views of Downtown create the perfect rooftop vibe for cocktail sipping. With a recently revamped drink menu, it's experimenting with shrubs, tinctures, syrups, and oak barrel-aged gin, mezcal, and tequila to make unique libations like the Beauty Mark, Master of None, and Juan Nolen, respectively. Stop by for the "6 on 6th" happy hour menu to get select $6 cocktails and bites from 4-6pm. Last year, the unlikely marriage of death metal and veganism birthed KINDRED, South Park’s newest craft cocktail destination. 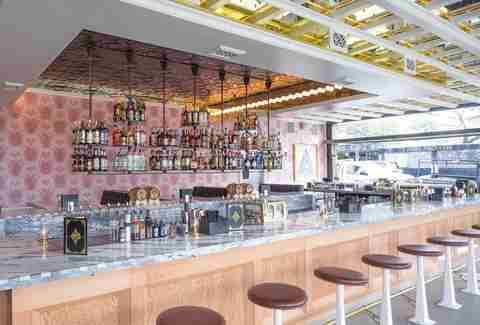 From the street, this place might look saccharine and feminine with its pink wallpaper and marble bar top, but appearances can be deceiving. Step inside and the next thing you know, you’re sipping on a Brain Candle (Black Strap rum, Islay Scotch, pineapple, lime, orgeat, absinthe, and bitters) and eating pistachio-crusted tofu to an all-metal soundtrack with the bust of a shiny black wolf/snake/skull-topped hell beast looming over your table. Just don’t try head banging while drinking from a coupe. 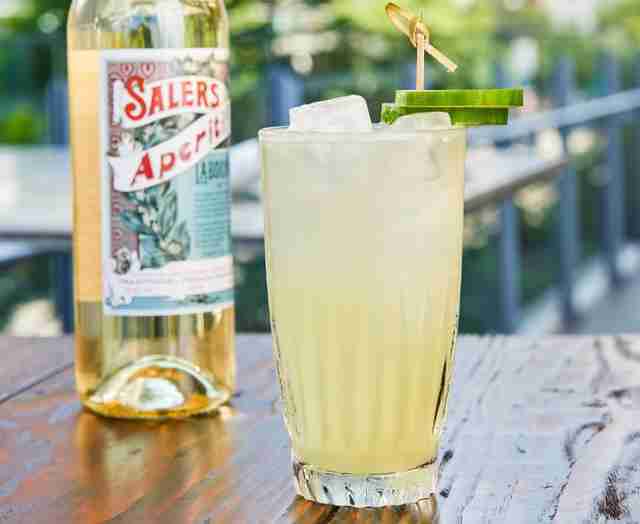 Kettner’s rooftop bar in Little Italy is ideal for drinking and has the libations to match with Death & Co. and Milk & Honey-trained Steven Tuttle at the helm. Whether you’re looking to kick back on the patio with something refreshing like a Georgia Sunshine (bourbon, lemon, honey, and peach bitters), or you’re in the mood for a spirit-forward cocktail like the Artichoke Hold (bourbon, maraschino, Cynar, and orange bitters), it's got a drink for you. Tiki is the most recent beverage trend to hit the San Diego cocktail scene, but the Cat Eye Club has been rocking the mid-century vibe for years. Walking into this dimly lit bar is like time traveling to the late '50s. 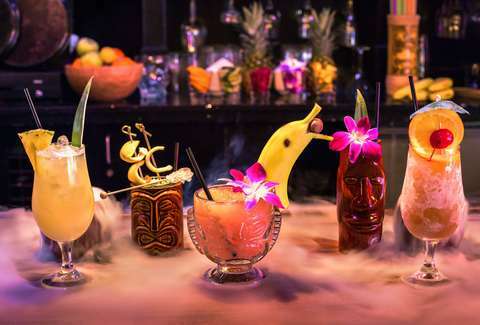 It's keeping things old school with everything it does, from the decor to the traditional tiki-style glassware and cocktails like mojitos, mai tais, and flaming scorpion bowls made to share. This restaurant might be right in the middle of a classically Italian neighborhood, but Bracero is based on the celebration of traditional Mexican heritage in everything from the kitchen to the bar. Along with a tequila program featuring at least 20 tequilas, 20 mezcals, and a selection of bacanora, raicilla, and sotol (sister agave spirits), Christian Siglin has created a stellar drink menu focused on everything agave. Almost all of the shaken drinks are tequila-based, like the spicy Ready Lane (pictured) made with jalapeño-infused tequila, saber’s aperitif, lime, celery syrup, and salt, while its selection of stirred cocktails include blended Scotch, aged rum, and bourbon. Everyone knows this is the spot for out-there gamey proteins like rabbit, antelope, and boar, but what’s happening behind the bar is just as wild. The extensive drink menu is conveniently divided up by spirit, but if you want something really special, check out "The Spoils" featuring cocktails made from specialty spirits like Monkey 47 gin and Jean-Marc XO vodka. It also has a selection of absinthe from France, Switzerland, and the United States available. Park & Rec’s dual bar setup is like having two venues slinging cocktails separated by an open-air courtyard. Mondays-Thursdays, there's a double happy hour with $5 and $6 specials from 4-6pm and 10pm-close. 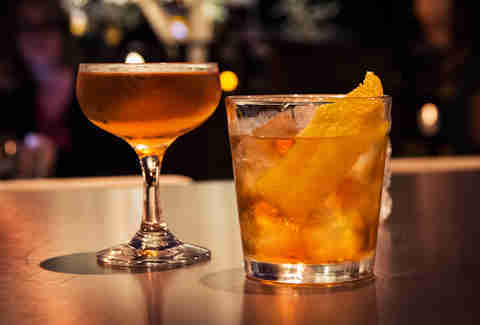 Cocktails range from classics, like Old Fashioneds, margaritas, and daiquiris, to featured drinks, like the Cabrillo made from green chili vodka, mezcal, pineapple gum syrup, and spiced rum, which is perfect for sipping on those extra-warm San Diego summer nights. 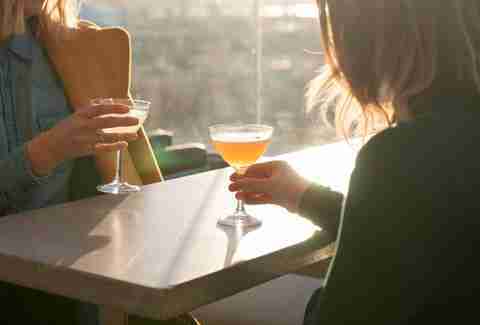 If you want a fancy drink while checking out the Padres game without having to face the crowds at Petco Park, then Fairweather definitely has one of the best views of the ballpark. The crew behind legendary San Diego cocktail bars like Craft & Commerce and Noble Experiment opened this spot a couple of years ago with Anthony Schmidt in charge of the cocktail program. He created a tiki-inspired menu with 32 drinks, half of which are Fairweather originals created with Schmidt’s spin on the classics. 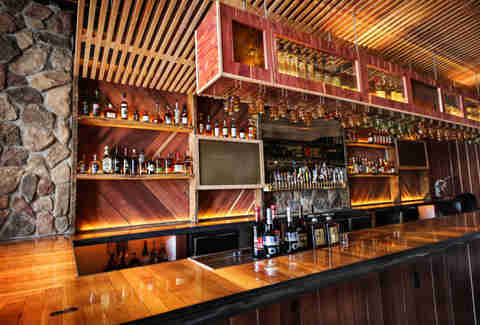 Polite has one of the most ambitious cocktail programs in San Diego with 46 taps pouring everything from craft beers and house-made sodas to (more excitingly) draft cocktails like the Casual Encounter (dry gin, organic strawberries, rose petal soda), which at least guarantees you'll have ONE of them that night. 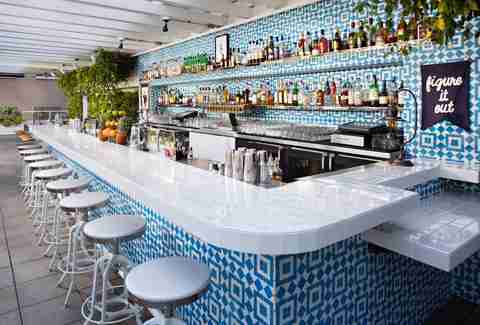 The apothecary-style setting is as impeccably designed as the drinks it houses. 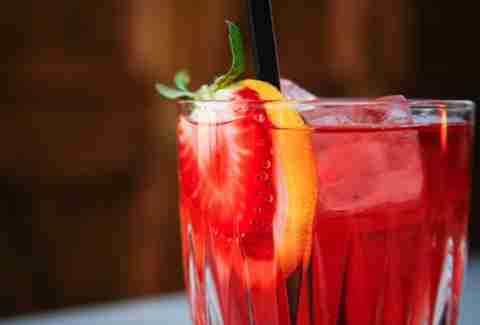 Now, it's also offering cocktail classes to school you on how to drink well at home. 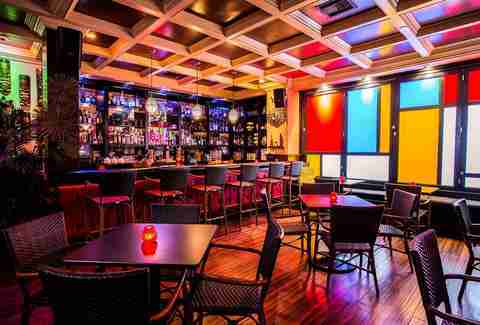 It's no wonder this hidden spot repeatedly appears on lists of the best bars in the country. Veiled in secrecy like the old speakeasies of the Prohibition Era, Noble Experiment is tucked behind a secret entrance in the back of Neighborhood. This is not the kind of place you simply stroll into -- you text the number on their website (OK, not QUITE like the old days) to make a reservation for a seat at the bar, but the cocktails are definitely worth seeking out. Do yourself a favor and let the bartender pick your poison; you won’t be disappointed by whatever concoction they come up with. Sycamore Den’s cocktail program is just as happening as the '70s theme they’ve got... happening, though the drinks take on a bit more of a modern vibe, with potables like the Nice Mangos, with whom you ALSO might want to have a casual encounter (because it has a house-made rum blend, mango, fresh lime, falernum, Allspice bitters, and absinthe). Sara Norris is a freelance writer and photographer who drinks way too much at all of these establishments.